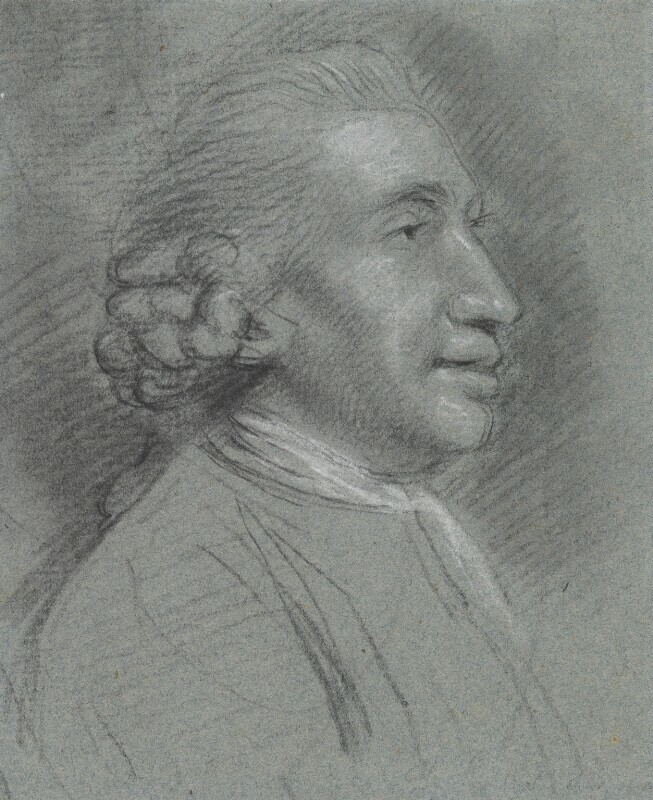 Charles Grignion (1753-1804), History and portrait painter. Artist associated with 9 portraits. Artist Benjamin West exhibits his celebrated modern history painting The Death of Wolfe at the Royal Academy, commemorating the death of General James Wolfe at the 1759 Battle of Quebec during the Seven Years' War. The painting creates a sensation and George III commissions a copy. Reporting of parliamentary debates is permitted. Richard Arkwright begins to develop cotton mills at Cromford in the Derwent Valley, Derbyshire; one of the earliest factory complexes. Botanist James Robertson makes the first recorded ascent of Ben Nevis. Encyclopedia Britannica is completed with 2,931 pages. First recorded cricket match is played in Horsham, West Sussex. First voyage of James Cook ends. HMS Endeavour anchors in the port of Deal, Kent following its three-year global circumnavigation. Spain cedes the Falkland Islands to Britain.